A total of 16 compartments in 2 different sizes on this Half-Size foam tray protect your cannibalistic Flesh-eater Courts. 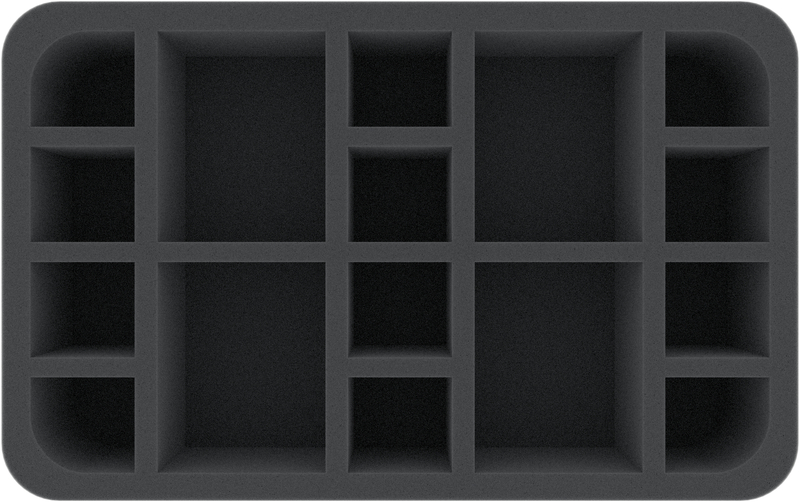 Small and medium-sized miniatures find safe shelter here and can be transported safely. 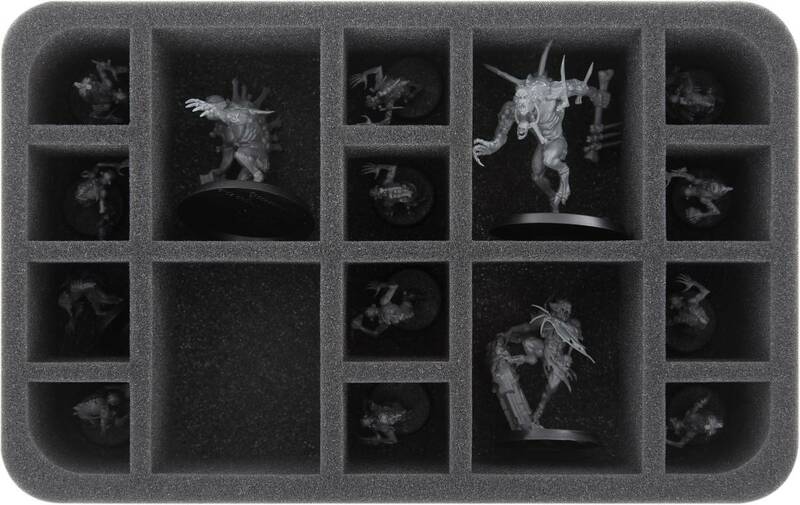 The insert is ideal for the Crypt Horror models, the Abhorrant Archregent and the Crypt Ghouls. 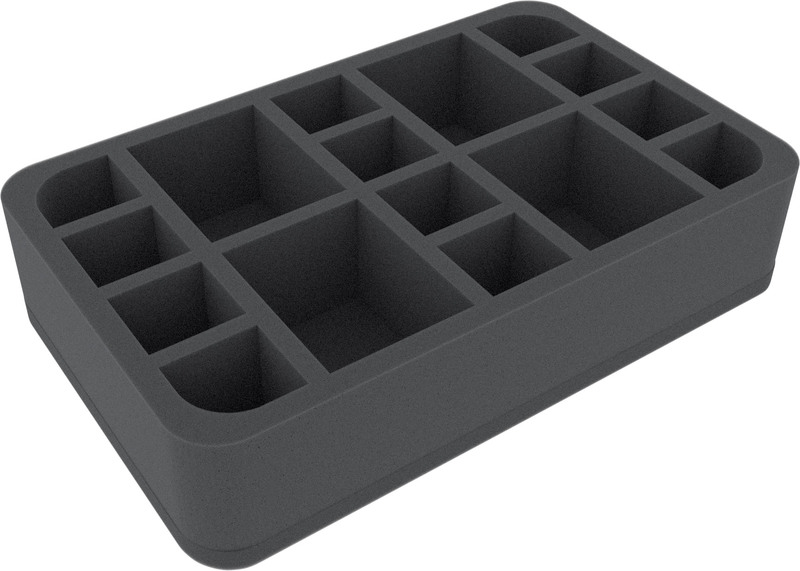 This foam tray has the dimensions: 275 mm x 172 mm x 60 mm total height (50 mm usable height + 10 mm foam base).